For more than 90 years, Ace Hardware has been known as the place with the helpful hardware folks in thousands of neighborhoods across America, providing customers with a more personal kind of helpful. In 2016, Ace ranked “Highest in Customer Satisfaction with Home Improvement Retail Stores, Ten Years in a Row.” according to J.D. Power and Associates. With more than 4,800 hardware stores locally owned and operated across the globe, Ace is the largest retailer-owned hardware cooperative in the world. Headquartered in Oak Brook, Ill., Ace and its subsidiaries currently operate 17 distribution centers in the U.S. and also have distribution capabilities in Shanghai, China; Panama City, Panama; and Dubai, United Arab Emirates. Its retailers' stores are located in all 50 states, the District of Columbia and approximately 60 countries. 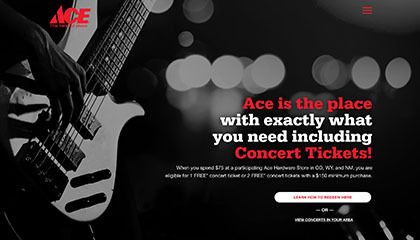 For more information on Ace, visit www.acehardware.com. 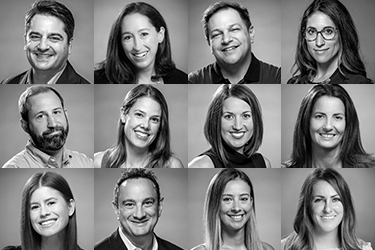 TLC Marketing specializes in motivating and driving consumer behavior through targeted high value leisure and lifestyle incentives. In the last 25 years, TLC Marketing has launched thousands of campaigns for many of the world’s largest brands featuring experiential rewards including but not limited to family adventure activities, beauty treatments, fitness classes, cinema tickets, live event tickets, hotel stays, flights and a whole range of other exciting experiences.